Who’s the author? 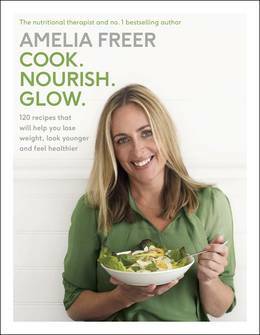 Nutritional therapist Amelia Freer, author of the incredible bestselling cookbook Eat. Nourish. Glow. which was famously championed by singer Sam Smith. What’s it about? 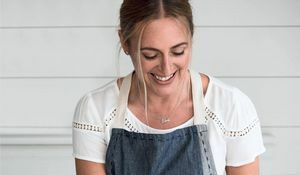 With over 100 nutritious, delicious and achieveable recipes, Amelia's second cookbook promotes gluten, refined sugar and dairy-free eating as a way of life rather than a fad diet. Good book for: Anyone looking to cook good, nutritious food. 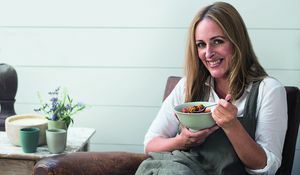 Amelia believes that, with the help of her book, anybody can change their eating habits for the better and cook delicious, healthy, beautiful food. You’ll like it if: You were a fan of Amelia's first book Eat. Nourish. Glow. or would simply like to change the way you think about food in order to transform the way you look and feel. With chapters including a step-by-step guide for novice cooks, how to eat well on the go, a 'naughty' chapter for treats and a chapter full of recipes to help improve gut-related problems, Amelia makes it so easy to change your lifestyle and attitude to food in a postive and long-lasting way. Recipes from Cook. Nourish. Glow. More about Cook. Nourish. Glow. Amelia's debut cookbook, Cook. Nourish. Glow. 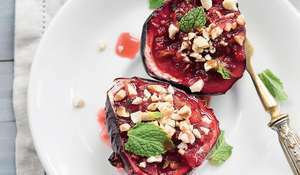 is packed with recipes that are kind to the belly, without sacrificing flavour. So this Mothering Sunday treat your mum to a celebratory feast minus the slump! We've picked three of our favourite recipes to create a menu that's healthy, comforting and will have your mum grinning come Mother's Day.